When Charles Darwin published his Origin of Species in 1859, it forever changed the way we understood life. Darwin’s work stirred discussion and it quickly rose to fame, but not everyone was convinced. Many scientists were skeptical, and many laypeople just couldn’t grasp it. 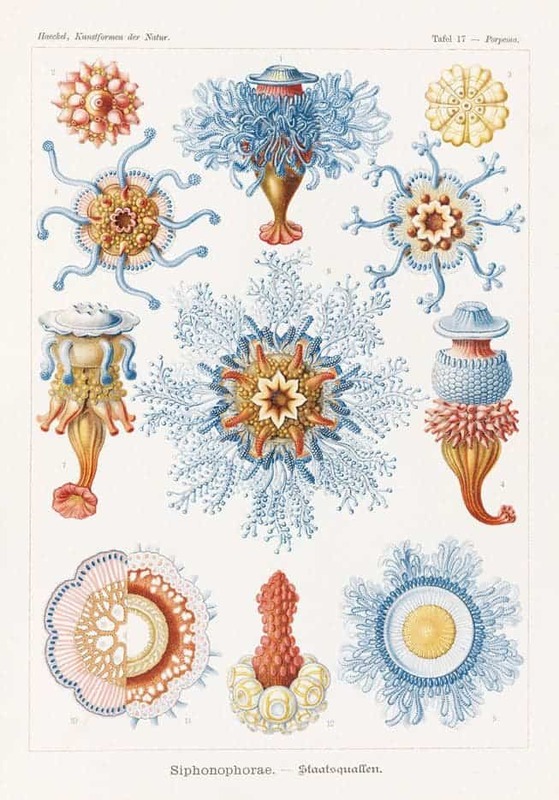 Ernst Haeckel changed all that. While Darwin was the brain behind the theory of evolution, many other scientists of the time helped spread and develop his ideas. If Darwin was the brain, Ernst Haeckel was the face of the beautiful theory. Haeckel’s scientific work and his drawings helped popularize evolution — but to link his name only to evolution would be terribly unfair. 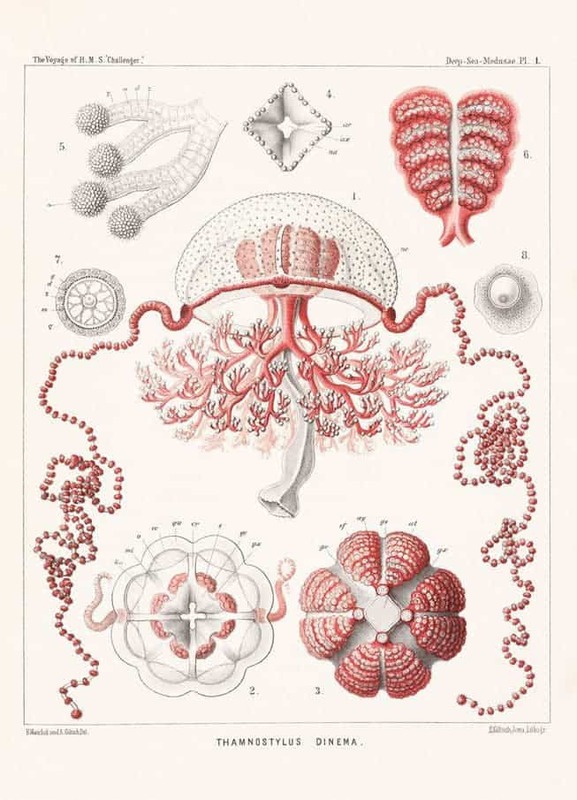 Haeckel discovered, described, and named over a thousand species. He mapped a genealogical tree relating all life forms and coined many terms in biology. Words like anthropogeny, ecology, and stem cell were all coined by Haeckel. He was also an active philosopher and a physician — although he wasn’t very fond of medicine. His practice was only open for one hour, and an ungodly hour at that: from 5 to 6 a.m. This allowed him to focus on his other passion, zoology. But here, we’re going to have a closer look at another one of his many talents: his drawing. Like Darwin, Haeckel also liked to travel to exotic places and study the wildlife he encountered. But he didn’t settle for describing them — he often drew them. Haeckel also had an uncanny attention to detail, being able to memorize and reproduce features he had seen even for a short amount of time. He created intricate illustrations of both macroscopic and microscopic creatures, making the unseen available for everyone. He seemed to have a particular fondness for jellyfish, depicting them in various settings and with their arms and tentacles in different positions. Few, if any scientists had the capacity to make such beautiful works of art while also depicting organisms very accurately. 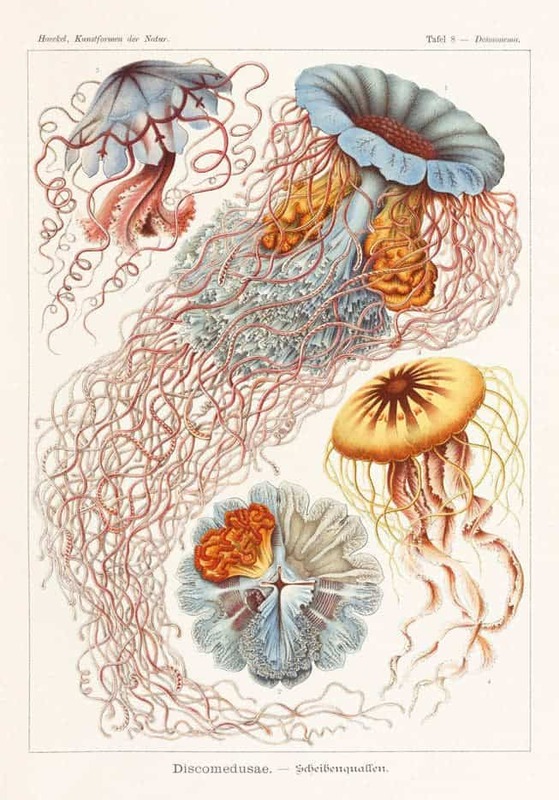 Jellyfish account for many of Haeckel’s illustrations. He named one species Desmonema annasethe (figures 1 and 2, above), after his wife, Anna Sethe. He named many species after her. She died a mere 18 months into their marriage, leaving Haeckel to believe that there really is no God — or if there is, he is simply nature without a will. But what made Haeckel’s drawings really amazing was his artistic skill. He didn’t just capture the traits of the wildlife he encountered, but he made it look good — really good. So good, that some biologists didn’t really like his style. They felt he went too overboard with the colors and drawing style. Yet Haeckel understood something that many seem to have forgotten: if you want to draw people to science, you need to make things interesting. See, he wasn’t only drawing for his fellow biologists. He was drawing for the entire world to see. 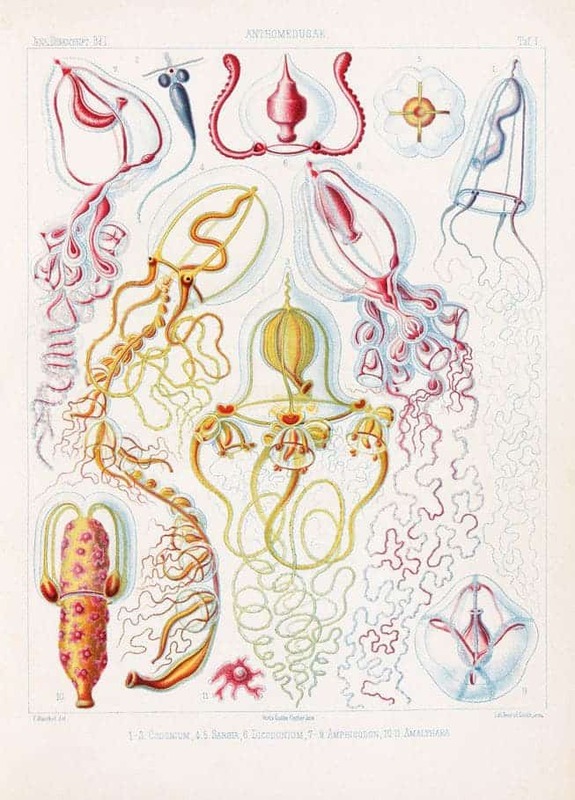 We owe much of our biological understanding to Ernst Haeckel’s love for nature, and to his groundbreaking talent in describing and presenting it. As a scientist and as an artist, he was outstanding. Thankfully, his art is easily accessible now (though at a hefty price). 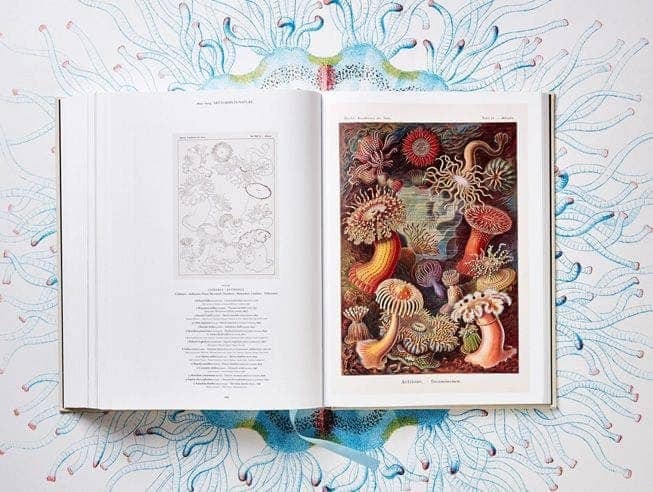 “The Art and Science of Ernst Haeckel” is a sizable book that blends biography, science and art history in a delicious and informative blend. He helped people understand science, and he made them care about science — something which we could sure use today.